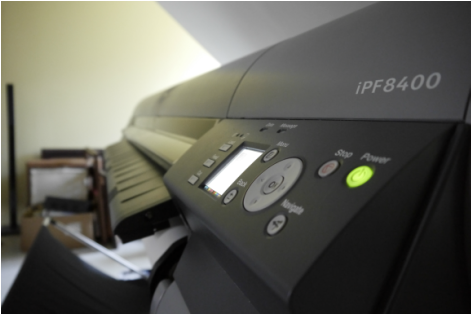 Giclée printing is a way of creating high quality prints. The word comes from the french term "la giclée" meaning, "that which is sprayed or squirted"'. Essentially it is a fancy term for inkjet printing. Not all prints are considered Giclée though. Giclée printing is meant to produce a product that lasts longer at a higher quality than any other standard desktop printer. The ink used is high quality therefor the print is to last 100 years or more. First a scan or photograph is taken of the artwork to be printed. Then the scan is submited into the computer where it is edited to look exactly like the original. The monitor, printer and papers are color calibrated to print the same colors as you see on the monitor. We use colormunki software to do this. It is important to calibrate your equipment so you achieve the best quality print. We only offer Giclée Printing to local customers in WNY. Please contact us if you would like a price list.